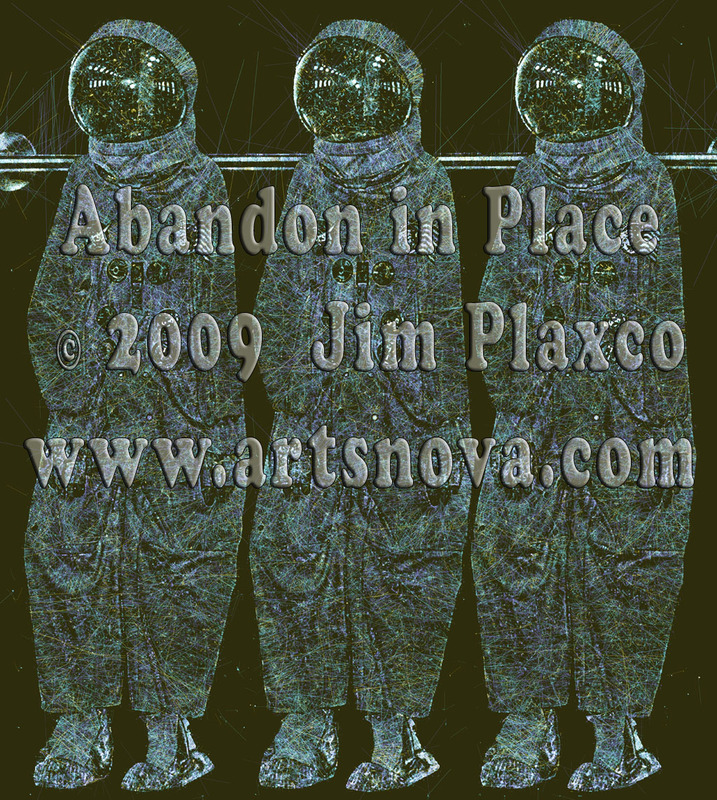 Abandon in Place is a sad commentary on the decline of the U.S. NASA space program. My original exposure to the term Abandon in Place was seeing these words stenciled on launch facilities no longer in use while visiting the Kennedy Space Center. The empty spacesuits are symbols of our country's lack of support for a program that has done so much for us and holds such promise for the future. 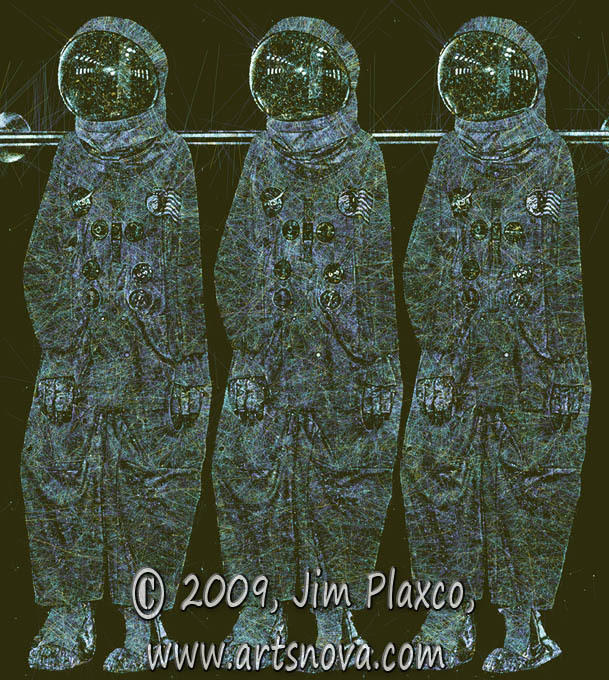 The significance of there being three empty spacesuits is that each one represents one of the cancelled Apollo missions to the Moon - Apollo 18, 19, and 20. You may also be interested in the related prints Astronaut Glory I and Astronaut Glory II. A watermarked wallpaper of this print can be seen in the Abandon in Place wallpaper..